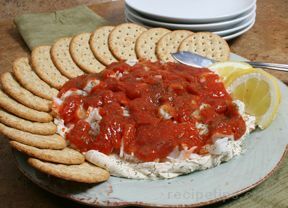 Spread serving plate or platter almost to edge with a layer of the softened cream cheese. Cover with cocktail sauce & top with shrimp. Chill till ready to serve. Serve with crackers. 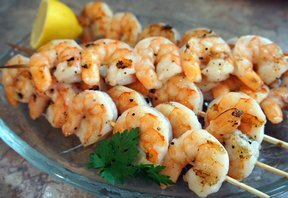 Betty's variation: *Baby shrimp or crabmeat, flaked or pieces.